AOL and Publicis’ VivaKi unit have completed a year-and-a-half project to research and develop new online video ad units and have come up with three formats they hope will become new industry standards improving the experience for users and advertisers alike. The three new formats join one VivaKi previously developed, Ad Selector units, which give consumers control by enabling them to pick which pre-roll video ads they see. The new units enable even more interaction with consumers, enabling them to participate in surveys, tap into branded social media content, and make pre-roll a navigable experience using “tabs” that can launch separate in-players videos. The project, which is part of VivaKi’s ongoing “Pool” research and development initiative, is its eighth “lane” to date. It was launched in October 2011 as part of AOL’s broader “Project Devil” initiative to develop better, less cluttered and intrusive and more engaging online advertising experiences for its users. VivaKi executives don’t discuss the terms of the Pool’s deals with the media companies it collaborates with, but generally they pay the upfront R&D costs associated with developing, testing and deploying the new formats, which are then beta tested with a corresponding amount of brand advertising dollars from VivaKi’s clients. The new lane, she says, evaluated 72 different online video advertising concepts, which were whittled down to the three new formats joining VivaKi’s original Ad Selector model. While Ad Selector has become a standard industry advertising unit, she says there is a misperception that the format is owned and proprietary to VivaKi and its clients, which is something she hopes to dispel soon. In fact, she says that while VivaKi has only partnered with media vendors to date, future lanes will invite rival agencies to collaborate in important industry research initiatives and innovations. “We’re here to resolve industry issues, but it’s based on research,” she says, noting that online video has proven to be one of the most challenging, vexing and missed opportunities to date, because while it has all the sight, sound and motion power of television advertising, the online video user experience is very different for most consumers, advertisers and media companies alike. In some ways, the online video marketplace is the opposite model, having begun with a wild frontier without standards that have begun to retrofit into ones developed by entities such as the Pool, the Interactive Advertising Bureau and AOL. That said, the new units being added by the Pool’s and AOL’s latest lane add some complexity to the marketplace, including the proprietary way that the two companies have chosen to brand the new formats, utilizing a convention that mixes AOL’s name with the Pool’s penchant for the letter “q,” which Scheppach says modifies the meaning of the formats as being “done smart.” The q, she says, is derived from the q in IQ, which stands for intelligence quotient, but isn’t actually a mathematical quotient, just an allusion. 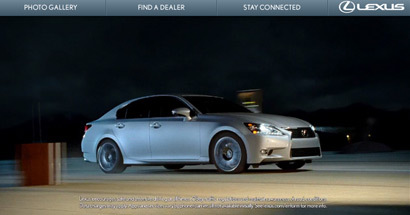 the pre-roll pauses, and the viewer can explore the full in-player experience before returning to the pre-roll and then the video. * APq: Asks viewers to choose between watching either a 30-second ad or watching a 15-second ad with a closed-ended survey question to follow (all in-player). If the 15-second ad is selected, the viewer must complete the survey. * SOq: Allows advertisers to direct viewers to various branded social media pages through their pre-roll units. Details of the new formats, and all of the research supporting them, can be found here. 2 comments about "VivaKi, AOL Unveil New Video Ad Units: Give Users Even More Control, Ability To Interact". Wendy Hidenrick from AwesomenessTV, February 26, 2013 at 8:43 p.m. Hate to be a hater - but AdoTube has been doing next level story telling for nearly 6 years. AdoTube is moving from making people want stuff through an experience – to making experiences people want. An experience that gives back. Big difference. Scott Clark from Innovid, February 27, 2013 at 4:10 p.m. Indeed, and here at Innovid we are proud to work with both AOL and Vivaki on the iRoll interactive ad formats that have been in-market for years. That said, the research here provided by AOL- Vivaki is fantastic, it ads even more credibility to the movement towards interactive video, and will hopefully bring even more dollars and media commitments to the table. Thank you AOL-Vivaki!